We have the expertise to create memorable messaging and designs that attract your target audience. We take your existing whitepaper, and refine the content to ensure it is well written and structured. We then design it to match the quality of the content. We prepare pitch deck presentation for stage that are usually under 10 pages as well as longer decks used to send to potential contributors either early stage or public crowd-sale stage. 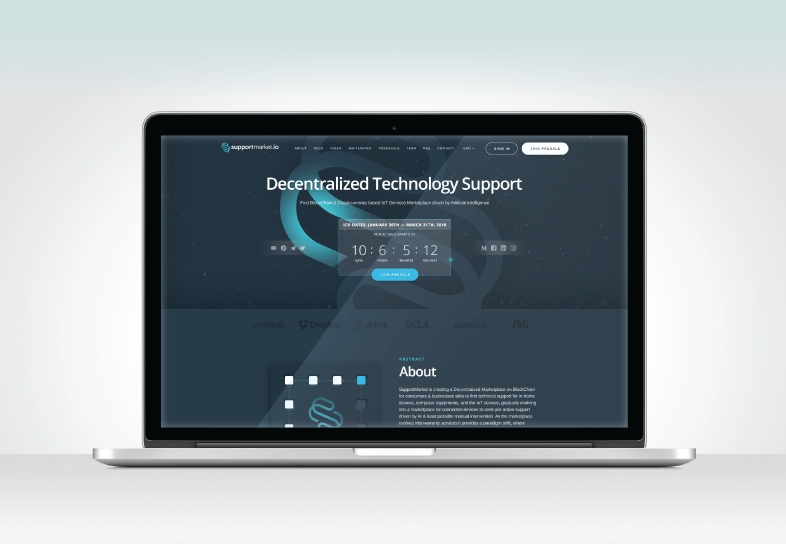 Our team specialize in creating powerful unique quality web designs that will enhance the trust, credibility and conversion of your project to make sure your project differentiates from the rest. Our dedicated team of developers are ready to create an interactive dynamic website that will help increase the conversion of your user base in order to help you achieve your projects goals. We create visually stunning, educational explainer videos that helps people understand the purpose of your blockchain project. Our challenge for the rewardstoken was to simplify the complex loyalty offering in a simple 60 second video that would be used to captivate the user and highlight the key value propositions. Our professionally shot and edited live videos are a great way to present the human side of your project. With this corporate video shot in Limassol, Shanghai and New York it was made to show the faces behind the project and to instil a level of trust and confidence. 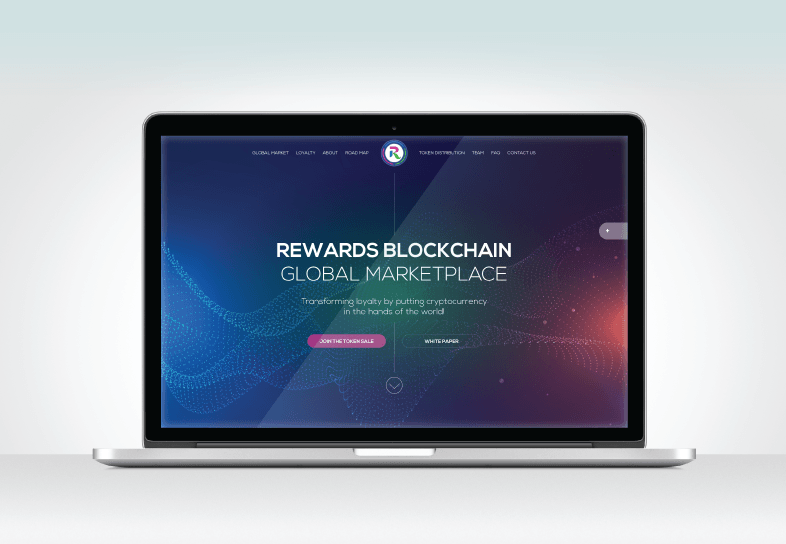 The rewardstoken live video was filmed in Dublin, Texas and New York and was used to show the passion and the global face of the project launching in multiple parts of the world. We help you to create full sets of marketing banners for use across all channels. We offer static and animated HTML 5 banners. Banners are the most used forms of creatives in order to create awareness online and we specialize in making banners that engage users and help increase click through rates. As we know that banner blindness is a phenomena that is real. The use of interactive banners has helped increase click through rates in some cases over 100% and it is highly recommended to be utilized. Our design team can create print media that matches your brands style and message. We cover most main mediums of print media. Using your brand and marketing message, we work to create a booth that not only represents your brand, but also promotes your brand message. We can work with most booth specifications, and files are delivered according to the printer. Roll-up ads are easy to store and fast to set up and can be placed in strategic positions at exhibitions and conferences. Having a roll-up ad that can portray your message and drive engagement is essential if your business participates in exhibitions and conferences across the globe. Some of the worlds largest investors still follow print media to keep up-to-date with the happenings within the industry. Additionally, many financial and other exhibitions worldwide offer print magazines as part of the service to attendees. Having a solid print ad in these types of print media can help get your project the right kind of exposure. Some of the projects we work on are localised, targeting a specific audience in a specific region or area. For this reason, we have worked with clients in the past to create billboards that deliver their message in the most efficient and engaging way possible.